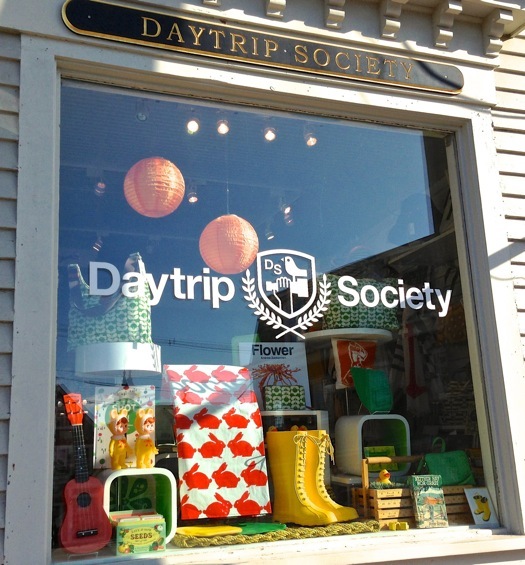 If you’re interested in a nostalgia-fueled vacation, Maine is the place to be. If, like me, you like a little green with your getaway, rediscover classic comfort at these old-time, recycled retreats. Remarkable things are happening at Birchwood Motel, a certified environmental leader on the Camden-Lincolnville line. After a painstaking remodeling, this midcoast motor-lodge has emerged as a hybrid of motel agricultural B&B. This is high-concept stuff: “greening” a classic Maine motor lodge while honoring its original roadside character. Rooms are blessedly simple: no coffee pots or microwaves (mini-fridge by request). No carpets, but sustainable flooring; no grungy blinds but washable curtains. Bedding is high-end and locally sourced from Cuddledown of Maine. This is the essence of recycling, Maine-style. The restored motel not only supports innkeepers Jenny and Eric Simon’s sustainable philosophy, but models a path toward environmental conservation in the hospitality industry. The couple’s greening efforts extend to the landscape, where they’ve created a “farmette” alongside a pond and and a rain garden. 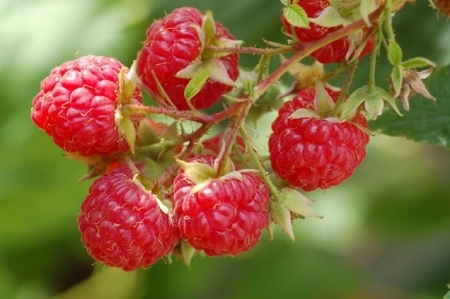 Here they grow fruit, colorful flowers and vegetables while their free-range chickens lay eggs for Birchwood’s simple and wholesome organic breakfasts. The motel-recycling concept piques my interest, and I head to Kennebunkport to “Lodge on the Cove,” another newly renovated classic motor lodge. Nestled on wooded Chick’s Cove, The Lodge offers a modern and lighthearted mix of vintage and contemporary furnishings, bold patterns, and beachy palette, plus natural decor and nautical touches. 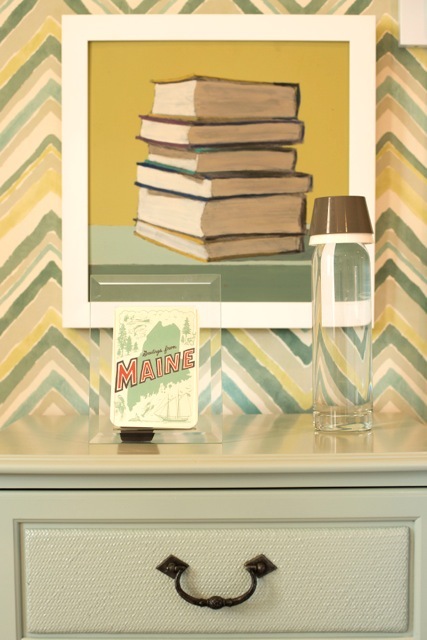 Original local art gives the Lodge truly a nostalgic Maine vibe. There is an actual mid-century “lodge,” with enormous stone fireplace, lobby-check-in, and best of all, retro a poolside tiki bar. Glass doors open poolside onto a spacious “beachy” area for board games, dining or soaking up old-fashioned fresh air and sun. Restored motel buildings, Bayberry, Juniper, Arrowwood and Sweet Gale, each have a distinctive palette and thoughtful details like old-fashioned “Welcome to Maine” postcards. Again, there is no carpet. All 30 guest rooms are simply furnished in sophisticated and comfortable style, with outdoor decks and views of the Cove. 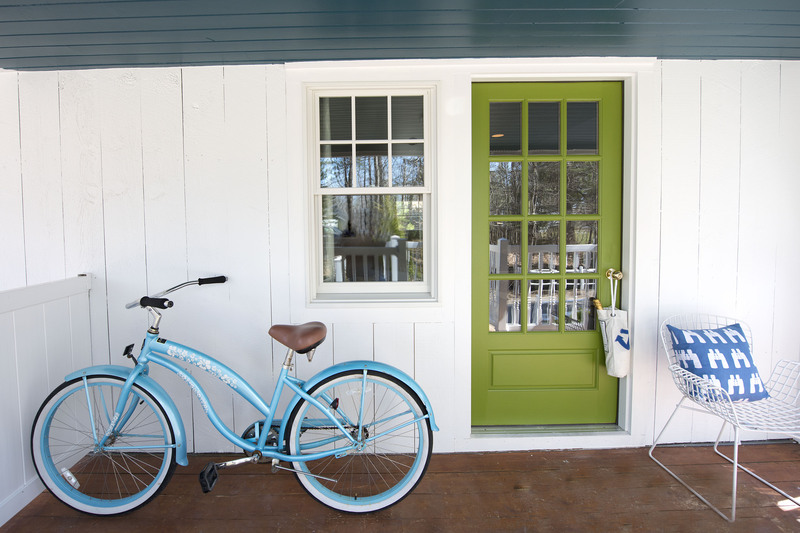 Another recycled retreat is the Cottages at Cabot Cove, a string of sunny recycled mom-and-pop cottages in Kennebunkport. (Remember the Sleepy Hollow motel in the 1960s?) The little cottages have gone retro-chic with painted floors, river-views, comfy upscale furnishings, and gas-fired woodstoves for chilly Maine nights, and tiny ultra-modern kitchenette and bath. WiFi and TV are included, though if you’re really into the full-on retro experience, just ignore it. Both Lodge and Cottages offer guests the option to reuse towels and bedding, recycle cardboard, glass and more. They use energy-saving lightbulbs and all-natural bath amenities in recycled containers. “Green” is the new posh. Both Lodge and Cottages are less than a 1/2 mile from the center of town. How Green – park your car and leave it. There are bikes, just like in the good old days, plus kayaks and rowboats. 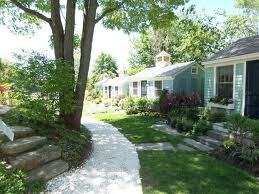 Each cottage has a sunny stone patio for privacy, and Adirondack chairs placed in pairs and groups along the Cove. Guests meander pathways made of crushed shells. 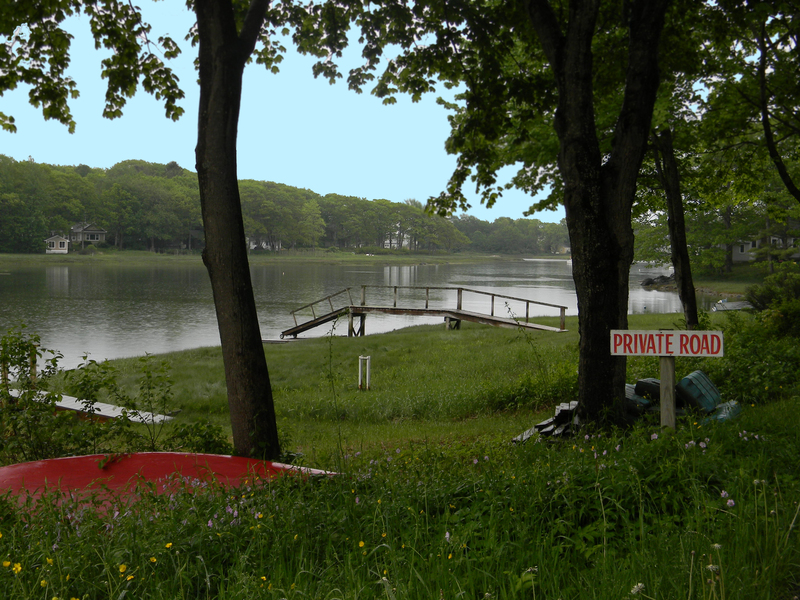 The wooded grounds are lush and green, and each cottage has a view of the rising tide. It is hushed and quiet – no techno-beeping, no traffic. Beach grass lines the bank in soft green. Blue sky is reflected in salt water. The tide rises slowly, time stands still and I drift off to sleep. Sea breezes and salt air combine to transport time-travelers back to childhood via tranquil afternoon nap. I request butter – no mayo – and bring it back to my tidal sanctuary. I’m surprised I possess the restraint necessary to walk the half-mile back to “Ebb Tide” cottage. The title is well-deserved; each contains the meat of a whole lobster – I checked. As the sun goes down, my thoughts turn to cocktails, and decide to try David’s, a quick walk down Ocean Avenue. Happy Hour is a great way to nail a table with a view and sample a few small tastes. The view of the river is little changed, and the crowd is still as preppy and boat-y as ever. Lovely. This retro thing is really working. 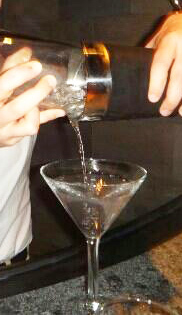 As the sun still crackles over Ocean Avenue, I down my first vegetable of the day – a martini olive. It feels great. Only four more servings to go. I am hopeful the capers and scallions on my steak tartare count as two more. I don’t think mum and dad dined on steak tartare in the 1960s, but that is the beauty of self-designed time-travel – you can nip in and out and have the best of both worlds. My trip into childhood continues at Nubble Light in York. I trace the winding road around the point and begin to understand why my parents insisted on Sunday drives to this spectacular spot. In the absence of parents, I treat myself to ice cream from Brown’s, a popular spot just past the entrance to Nubble Light. 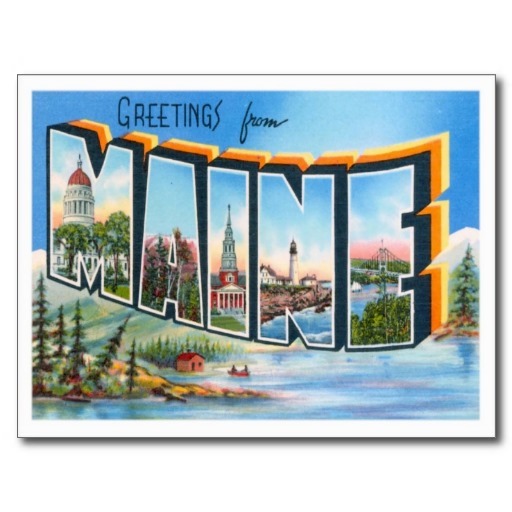 I sample as many “Maine” flavors as I can – Maine Survivor, Maine Explorer, and Maine Tracks, as well as something turquoise called Planet Earth. I decide Wild Blueberry is much safer and enjoy every native Maine berry. At Goldenrod Taffy in York Village, children still stand rapt at the window. I remember standing in this spot watching the taffy being stretched on mechanical “arms” of the pulling machine for what seemed like hours. I recommend this soothing ritual for anyone weary of peering into an iPhone or at a computer screen. Summer theatre is a real old-timey option. 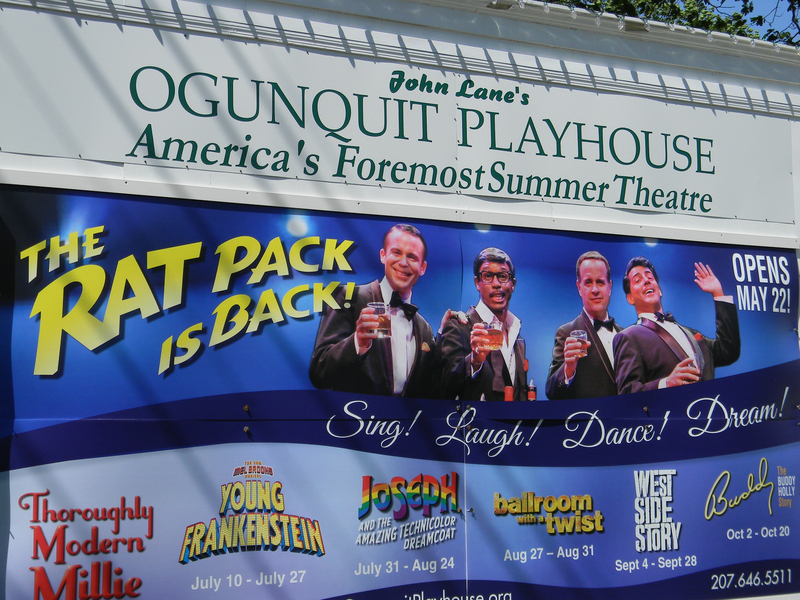 Consider adding Ogunquit Playhouse to your full-on summer retrospective. The Playhouse is currently doing “Rat Pack” – it doesn’t get more mid-century than Sammy, Joey, Dean and Frank. The late-summer line-up includes retro-favorites like Thoroughly Modern Millie, West Side Story and the Buddy Holly Story. Last summer’s “enchanted evening” of South Pacific was perfect nostalgiacation fare. In Cape Porpoise, Atlantic Hall houses the little library where I spent hours as a kid. At the time, this sleepy little village seemed the most boring place on earth, but I now realize it allowed me to read every book in this nugget of a library, from Charlotte’s Web to Madam Bovary. I see how lucky I was to spend a few months year in this little town that time forgot. I encounter a socked-in rainy day on my nostalgiacation, and I hang out at The Ramp awhile. 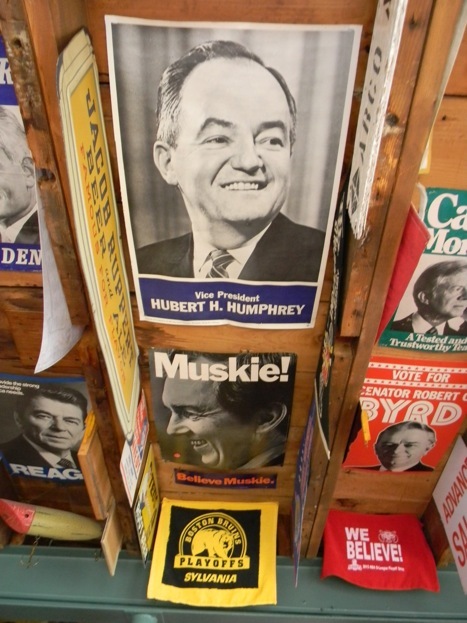 I play a little game: Guess owner Pete Morency’s age and party affiliation from the memorabilia on the walls and ceiling. He’s a boxing fan, and the poster of the Ali-Norton fight says Tuesday, September 28. I happen to know the year was 1976 – a perfect clue. So are his McCarthy and McGovern for President posters. I feel right at home. Morency is definitely a soul brother, and the Ramp is a goldmine of nostalgia. 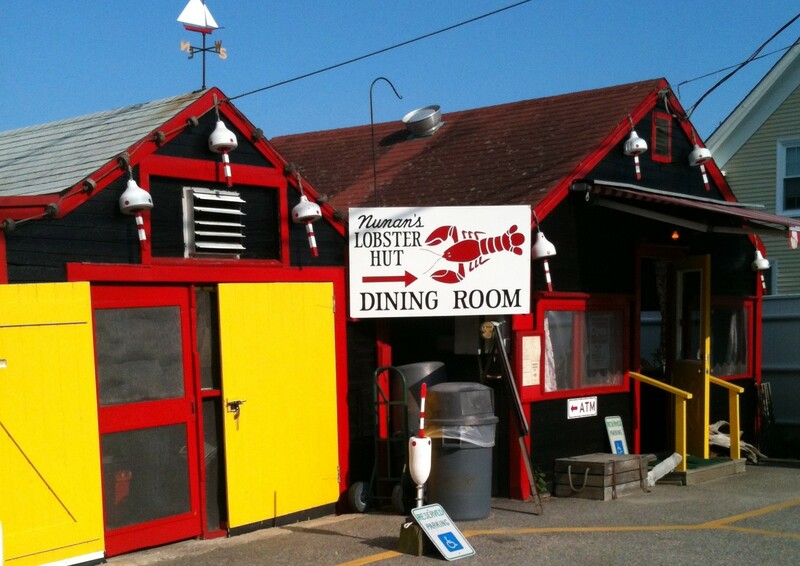 No retro journey would be complete without a stop at Nunan’s, where lobsters are still hauled the old-fashioned way and cooked as red and steaming as they were in the 1950s and 1960s. 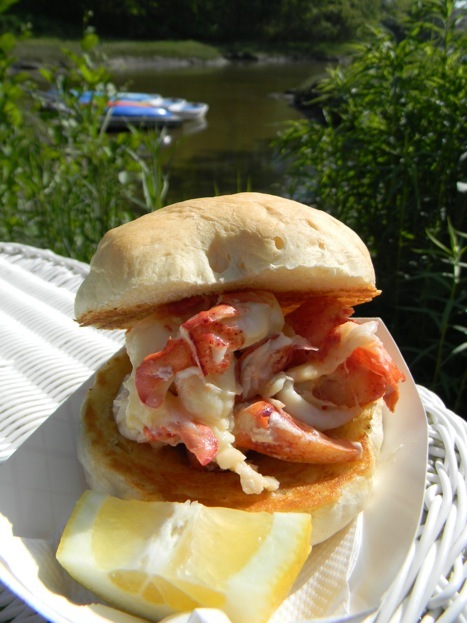 Nunan’s Lobster Hut is a Maine classic and the ultimate in locally sourced – a perfect stop on any nostalgia-cation. Don’t miss “Bertha’s” blueberry pie. Or simplify further with a getaway in an iconic, vintage Airstream trailer. Patrice from Vintage Maine Vacations will tow a fully restored vintage camper to your favorite spot within 125 miles of Portland, and set it up for a relaxing retro week or weekend in the great old-fashioned outdoors. A shiny 1960s Airstream makes a cozy home-away-from-home and is a wonderfully nostalgic way to enjoy the beautiful State of Maine. This entry was posted in Maine Travel, New England Travel, Retro-Travel, Sustainable Travel, Travel and tagged Birchwood Motel, Cape Porpoise, Cottages on Cabot Cove, Eco-travel, Kennebunkport, Lincolnville, Lodge on the Cove, Margolis-Pineo, Vintage Maine Vacations. Bookmark the permalink. “beachy palette!” You are truly amazing, my dear! Again you make me want to go everywhere you talk about. Keep writing, you are SO FRIGGEN GOOD at it!